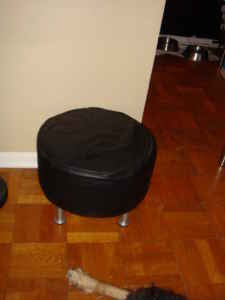 I saw your ad on Craig's List for the moving out sale and the photos of the wonderful items http://toronto.en.craigslist.ca/tor/for/1096712445.html .I see the photo of the leather foot and the stool. You have listed the price as -Leather foot stool 30.00. However, I am only interested in purchasing the leather foot shown at the bottom of the photo. What is the price if I don't want the stool?